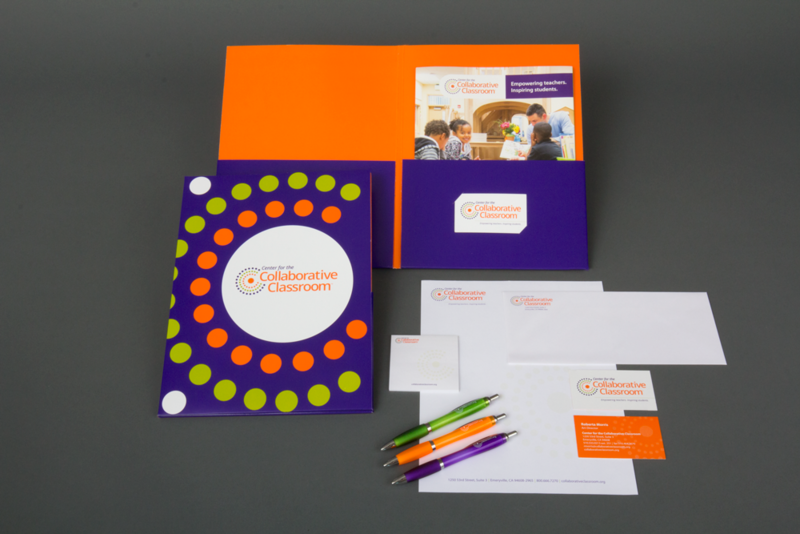 Logo, identity package, marketing collateral and swag for educational nonprofit centered on creating curriculum that emphasizes academic rigor and collaborative learning. 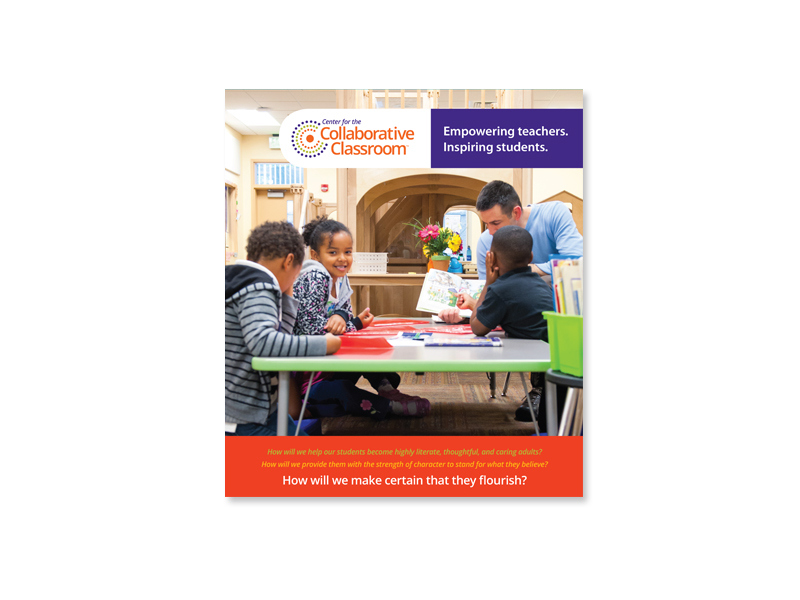 This identity package for Center for the Collaborative Classroom (CCC) features newly minted branding for a nonprofit educational publisher, which focuses on the collaborative nature of their pedagogy and classroom materials. 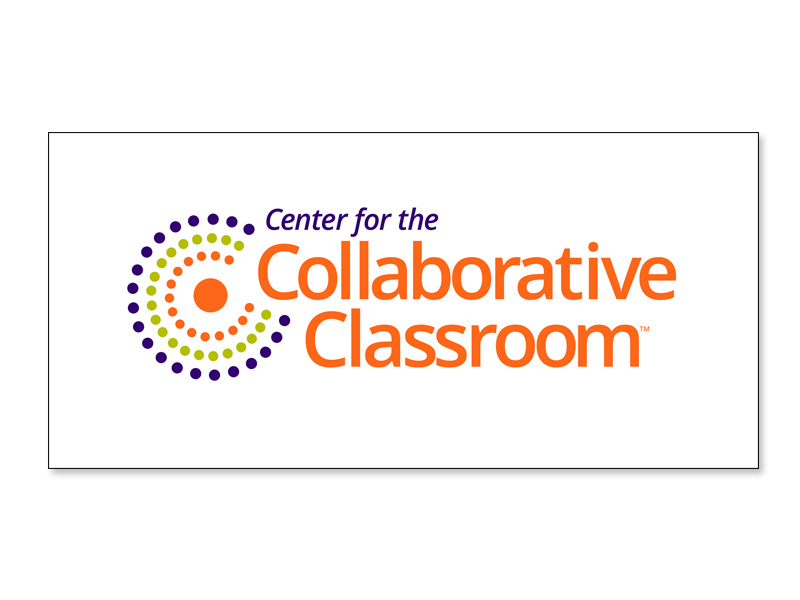 The “CCC” circles represent the school community (student/school/community), and shifts away from an emphasis on just textbooks towards the broader idea of collaboration in the classroom. 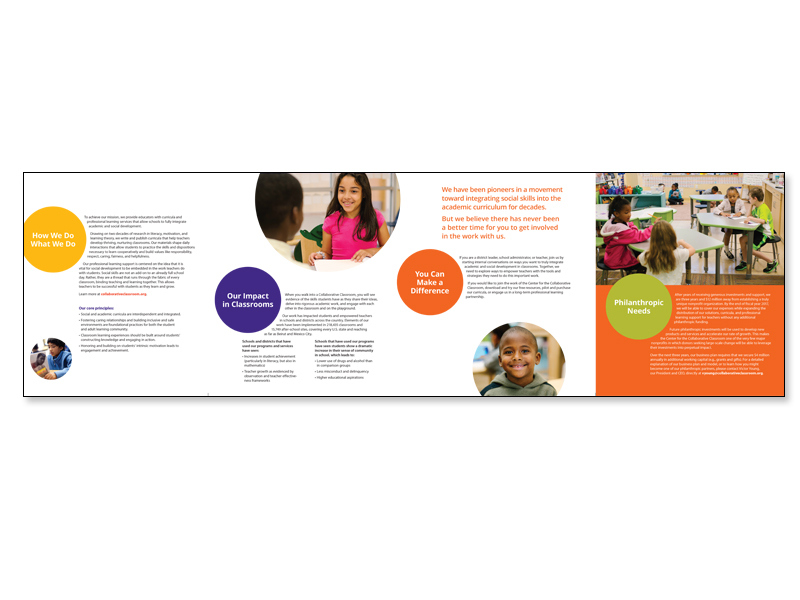 Included below are the letterhead package design, website home page, marketing collateral (brochures, catalog, flyers, etc. 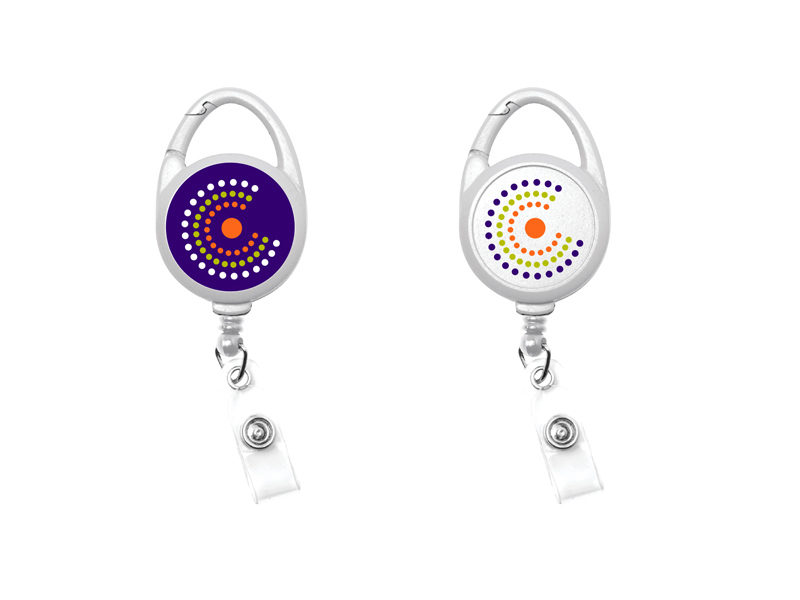 ), and swag.